The Cogenhoe and Whiston Heritage Society was set up to highlight and record the tremendous heritage which exists in the area and to record it for future generation before it is lost. 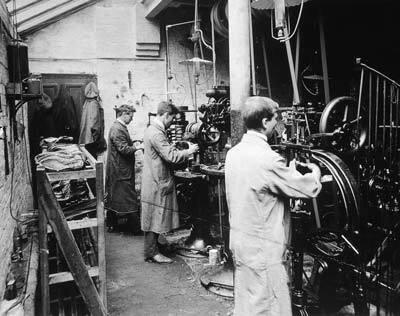 To this extent, the oral history project involved research into the social, employment and industrial history of the Parish from 1900 through to more recent times. This was accomplished through a total of 60 interviews with people who lived in the parish during that period. The majority still reside in the village today. The local community has been fully involved in the project and many villagers have now joined the society and regularly attend its meetings. The Parish has an interesting industrial heritage including ironstone quarries, the boot and shoe trade, and railways. None of these are now active. Interviews have been recorded and transcribed. They have then been compiled along with archived photographs into a book and a double CD which were launched at the end of 2003. The CD, which was produced with the help of a professional studio, is a unique opportunity to listen to the memories and recollections of the many people who lived in Cogenhoe and Whiston. In all, the project amassed over 60 hours of taped interviews. Other projects include a small book on heritage walks in the area and a heritage fair.